Originally seven in number and known as the Sapta Badri Yatra, Panch Badri are five of the holiest shrines that are dedicated to Lord Vishnu in his Badri avatar. Visiting this ensemble of five Badris in the Devbhoomi of Uttarakhand is considered to be incredibly auspicious for devout Hindus and pilgrims. Along with other holy Dham Yatras like Char Dham, Panch Kedar etc. this is also one of the most highly revered pilgrimage undertaken by the Hindus of India. Each Panch Badri site in Uttarakhand takes you across some of the most pleasing and stunning landscapes of lush greenery, rugged misty mountains and deep spiritualism. The lofty green mountains accompanied by the blissful and gentle breeze this Yatra circuit will allow you to savour some of the most awe inspiring and incredible views of the surroundings. This is the perfect way to connect with your lord while experiencing a true connection with the nature. The Badri Kshetra or the abodes of Lord Vishnu that is present in the Alaknanda river valley, extends from Satopanth which is located at a distance of 24 kms from the main Dham of Badrinath and extends up till the region of Nandprayag in the southern region. This is also the region here all the prime Badri temples are located. Ever since the early ages the holy journey to Badrinath Dham used to take the pilgrims through a thick forest of Badri or berries. These jujube tree forests have become extinct these days and cannot be spotted. 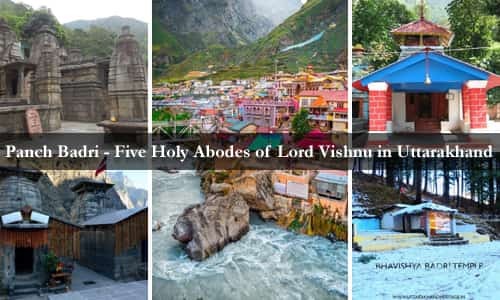 Also popularly known as Vishal Badri this holy home of Lord Vishnu is located in the Chamoli district of Uttarakhand at an elevation of 3,133 metres above sea level. The entire region of this valley is named after this temple and is not only an important Divya Desam among the 108 other Desams that is spread across the length and breadth of India, but it is also a crucial part of the all India Char Dham Yatra including Rameswaram, Jagannath temple and Dwarkadheesh temple. Initially considered to be a Buddhist monastery owing to its architecture and design style m this temple was re- established as a Hindu temple during the 8th century by the great sage, saint, philosopher and the propagator of Advaita philosophy of Hinduism, Adi Shankaracharya. There are several legends related to the creation of this holy temple one of the most popular being that once when lord Vishnu had assumed his form of the twin brothers Nar and Narayan decided to perform penance in an open area close to Badrinath. Another story involves the penance performed by Lord Vishnu while his consort goddess Laxmi stood in the form of a tree to protect him from the harsh weather. Another legend involves the story of the great sage Narad who decided to do penance here and chanted divine scriptures here known as Ashta Akshara Mantra. And lastly, according to the Hindu religious book of Bhagavata Purana, Lord Vishnu is said to be taking a continuous penance ever since the beginning of time for the welfare of humankind. This humble looking temple is situated in the scenic and holy village of Pandukeshwar that is situated in close proximity to Hanuman Chatti and Govind Ghat. The temple is named after the fact that the presiding deity of Lord Vishnu here is sitting in a meditative pose and looks like he is in deep meditation. This village is situated at an elevation of 1,920 metres above sea level and is named after the father of the Pandava brothers, Pandu. 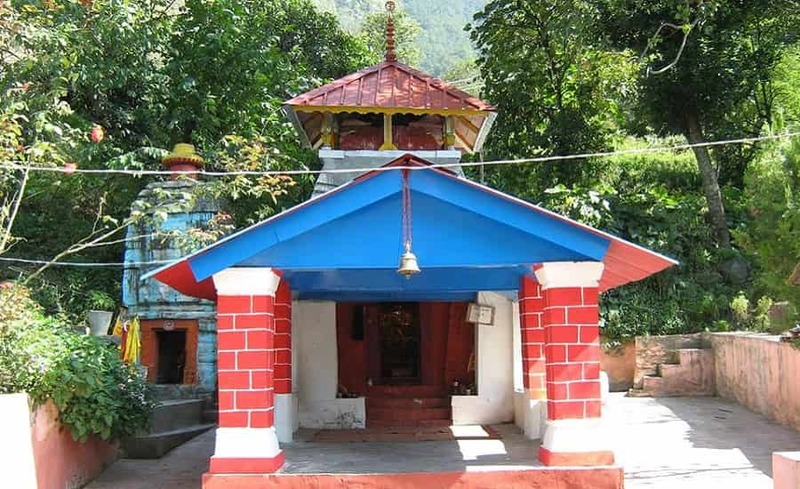 This place is also known for being a part of the winter Char Dham Yatra circuit since the presiding deity of Badrinath Dham is shifted here during the winter months when the main Dham shrine is shifted to its winter home in Pandukeshwar where pilgrims continue to offer their prayers to the lord. As per the popular legend, king Pandu, the father of the Pandava brothers decided to perform serious penance here in order to cleanse him from the sin of accidentally killing two mating deer in the forest who were ascetics in their previous life. It is also believed that king Pandu had installed a bronze idol of Lord Vishnu inside this temple, in a deeply meditative stance that currently adorns the insides of this temple. The Pandava brothers are believed to have been born here and king pandu is said to have passed away at this very place. It is also a popular belief that after killing their kin, the Kauravas, in the great war of Mahabharata, the Pandava brothers are said to have come here in order to repent their actions and ask for forgiveness from the lord. 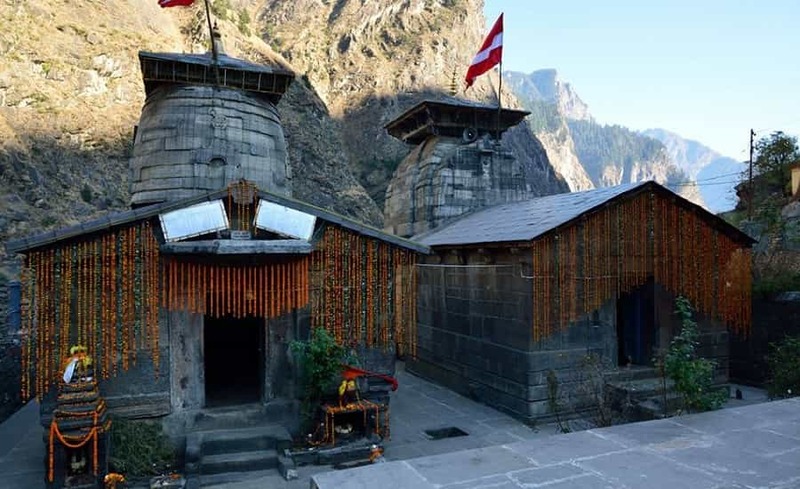 This humble and barely crowded shrine of Lord Vishnu is located at a comfortable distance of 17 kms from the holy village of Joshimath, which is known as Subhain. This small and serene hamlet is situated beyond Tapovan and as the name suggests this is the ‘future badri’, where Bhavishya translates into future. As mentioned before the presiding deity here is that of Lord Vishnu and due to the absence of roads it can only be reached after covering a trekking trail that will take you through a dense and forest covering and some people even believe that during the ancient ages this was the trail that had once lead to the great Mount Kailash, Mansarovar which goes along the Dhauliganga River. It is a popular belief that during the end of Kalyug when the world will come to an end and the ecology will undergo some drastic changes. These changes will allow the Nar and Narayan peaks that form the backdrop of the temple if Badrinath Dham will implode into each other and this will block the entire way leading up to the Dham shrine making it inaccessible for future pilgrims to visit. It is said that during such a time people will be visiting Bhavishya Badri Dham and offer their prayer and rituals then. It is clear that our saints have already found a substitute for the future generations to keep the spirit and beliefs of Hinduism alive. 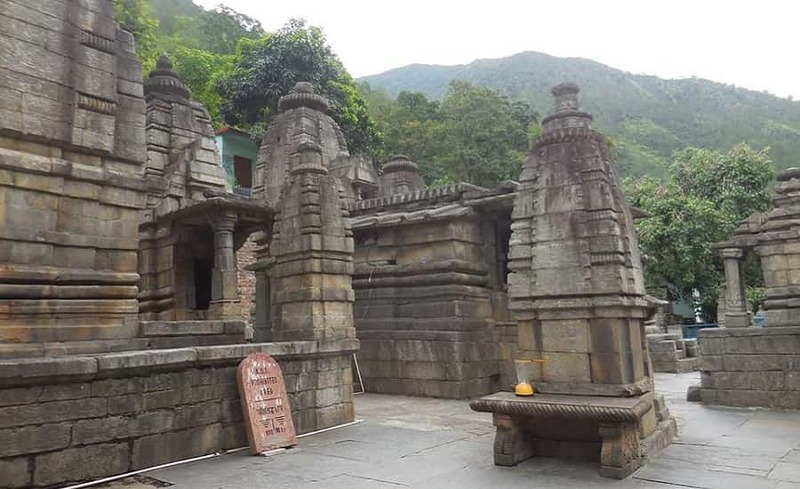 This holy Hindu sanctuary is dedicated entirely to Lord Vishnu and is situated in the small town of Animath which is located at a comfortable distance of 7 kms from Joshimath. This temple is located on an elevation of 1,380 metres above sea level and is also included in the Saptabadri Yatra. The name of this place translates literally into ‘old badri’, where the presiding deity is the idol of lord Badri in the form of an old man. The entire region of Vridha Badri extends from Satopanth to Nandprayag in the river valley formed by the holy river of Alaknanda. The priests that perform all the puja rituals here are from the south Indian descent and stay in the nearby village. According to mythological accounts sage Narad is said to have performed intense penance in this region with an attempt to please the lord. In response to his dedicated devotion Lord Vishnu appeared in front of him in the form of an old man. In order to pay his respects to the lord Narad decided to install an idol of an old Lord Vishnu. Another legend involving the birth of this temple is the fact that Vishwakarma had carved out the image of Badrinath there and worshipped it with deep penance. After a number of years, the Adi Shankaracharya is believed to have found this image here and reinstalled it here within the temple’s premise. People also believe that Adi Shankaracharya is said to have worshipped this image of the lord before enshrining him at the temple. This fine and creative work of architectural marvel is a group of 16 individual temples that belong to the period of Gupta reign. Among this group of temple is the Narayan temple which enshrines a gleaming black idol of Lord Vishnu which stands 3 feet tall. 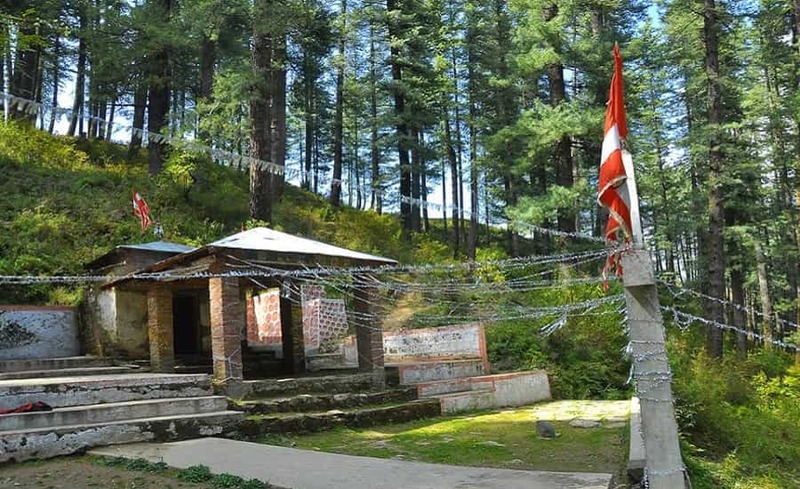 This place also falls amongst the Badri Kshetra and is placed at a distance of 18 kms from Karnaprayag. The scenic grandeur and the beauty here is unmatched making it an ideal place for you to discover the eternal truth of nature. It is believed that Adi Badri was the permanent residence spot for Lord Vishnu where he stayed during the Satya, treat and Dvapara Yuga before proceeding to Badrinath for Kaliyug. When the pilgrims find it difficult to approach the main Badrinath Dham shrine either due to weather conditions or blocked roads then devotees make their way to Adi Badri to complete their worship rituals. Another popular legend that makes this place a significant place of religion is the fact that Maharishi Ved Vyas, who is famous for dividing the Veda into its 4 different parts of Rigved, Samved, Yajurved and Atharvaveda, did this at Adi Badri and he is also believed to have written Bhagavad Gita here which was delivered by the god himself. The most preferred time to go on the Panch Badri Yatra is during the summer months of April to June and September to November. Travelling to these holy Badri sites during the monsoon months is not advised since the entire region remains prone to extremely heavy rains making the region extremely unsafe for travel purposes. 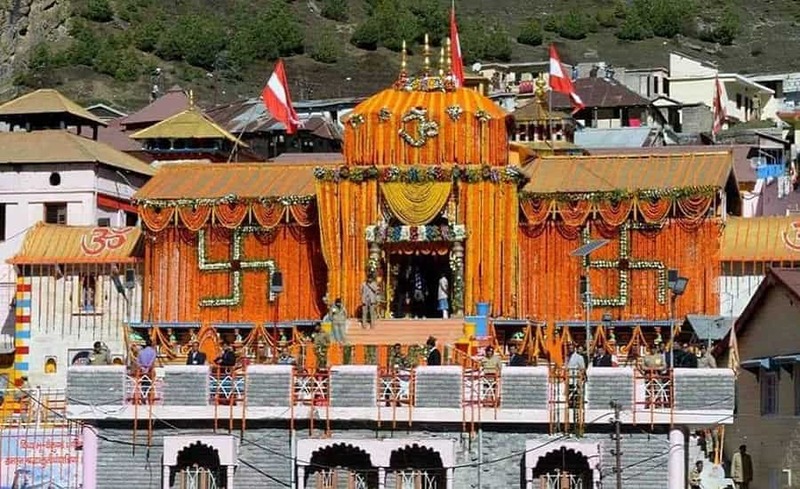 However in case you cannot offer your prayers to the main Badrinath Dham shrine due to any weather changes or road blockages then you have the option of visiting these Panch Badri sites that are located on lower altitudes of the region. If you want to have a spiritual winter vacation experience then going on a pilgrimage of the Panch Badri Yatra is advised. Since all these sites are located on the hilly areas, make sure that you are well packed with winter wear since although you will be going mostly on summer season, the night time still gets quiet chilly. All these places remain relatively less occupied and crowded with tourists and pilgrims since most of them are diverted for some of the major Dham Yatra of India. However, these Yatra sites still hold an immense relevance in Hindu beliefs. Make sure not to disrespect or hurt the religious sentiments of the people there. Please follow the rules as mentioned in the temple premises. There are a number of accommodation options available in and around the regions surrounding the Panch Badri Yatra sites.